MONTREAL – With the fifth overall pick in the 2014 CFL Canadian Draft, the Montreal Alouettes selected Université de Montréal offensive lineman David Foucault. Foucault (6’8”, 320 lbs.) played four seasons with the Carabins, moving to the offensive line during his second season in the CIS, after starting on the defensive line in 2010. In 2012, the 25-year-old LaSalle, QC native helped the Carabins to an 8-1 record as part of an offence which scored 299 points, the second-highest total in the Quebec Conference. He also anchored the offensive line which allowed running back Rotrand Sené to amass 813 rushing yards — the most in his conference that same season. 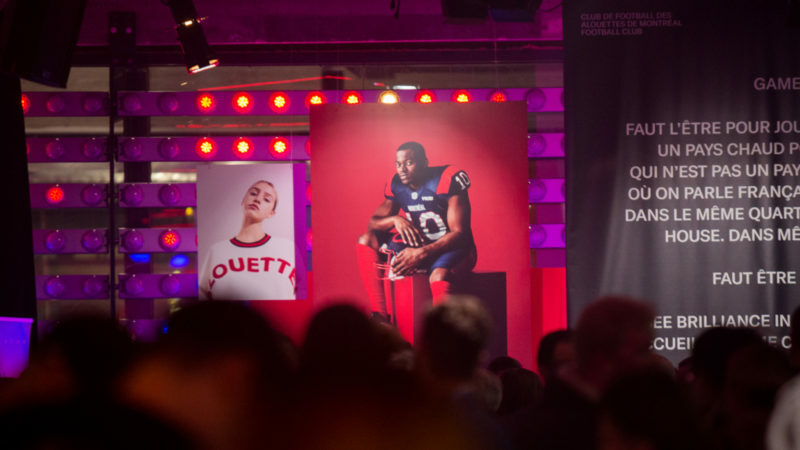 Prior to making their first pick, the Alouettes traded the 4th and 13th overall picks in Tuesday’s draft to the Ottawa REDBLACKS in exchange for the 5th and 10th overall picks. 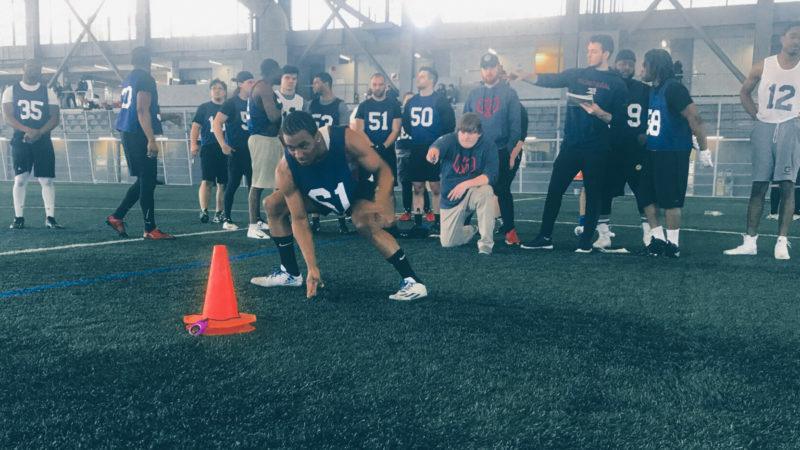 With the 10th overall pick, the Alouettes selected defensive back Andrew Lue out of Queen’s University in the second round. Lue (6’2”, 210 lbs.) recorded 23 defensive tackles and a pair of interceptions in seven regular season games with the Golden Gaels in 2013, before adding 10 tackles and one interception in a pair of playoff games. Lue was also named an OUA Football First Team All-Star for each of the past three seasons. In four years as a cornerback with Queen’s, Lue amassed 84 defensive tackles and six interceptions. In the third round with the 22nd overall pick, the Alouettes nabbed defensive lineman Jeffrey Finley from the University of Guelph. Finley (6’3”, 260 lbs.) was part of a defensive line that ranked first in the CIS in rushing yards allowed and combined for over two thirds of the Gryphons’ sacks with 21.5 in 2013. In 2012, the St. Catharines, ON native started eight games in his second season with the Gryphons and recorded 23 tackles including five for losses. He also made his first playoff appearance in a 42-39 overtime semi-final victory over the Queen’s University Golden Gaels that same year. The Alouettes selected linebacker James Tuck (6’0”, 230 lbs.) in the fourth round (31st overall). He emerged as a key player with the York University Lions in 2013, leading his team with 41.5 tackles, good for 11th in the OUA and recorded 4.5 sacks on the year. After starting all eight games at defensive end last season, he had one forced fumble and one fumble recovery. Tuck participated in the 2013 East West Bowl. With the 35th overall pick, the Alouettes selected slotback Andrew Smith (6’1”, 200 lbs.) from the University of Manitoba. Smith hauled in two touchdowns in the 77th Hardy Cup against the Calgary Dinos last November, helping the Bisons to a 5-3 regular season record. Selected with the 43rd overall pick, kicker Nick Boyd was the second-consecutive player from the University of Manitoba to be drafted by the Alouettes. Boyd (5’10”, 205 lbs.) played in ten games last season and punted the ball 87 times. His 42-yard punting average in 2013 was the second-best in the country and he had 25 punts inside the 20-yard line providing his club with excellent field position. 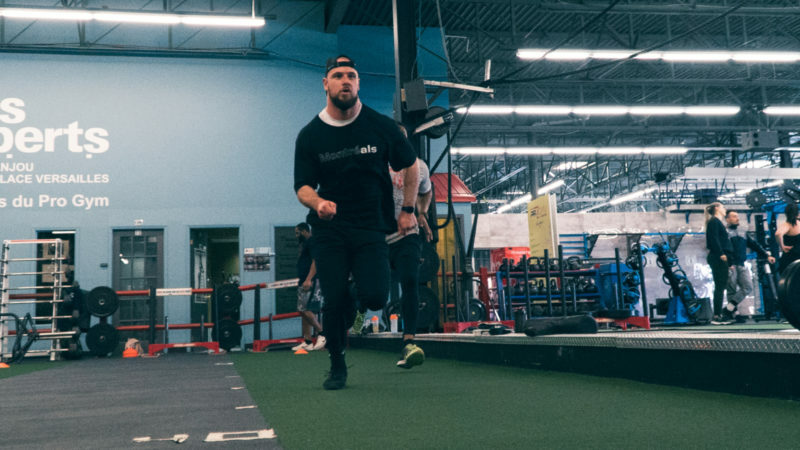 With the 49th overall pick in the 2014 CFL draft, Montreal selected running back Jean-Christophe Beaulieu (6’03”, 220 lbs.). The Trois-Rivières, QC native played in nine games last season and gained 55 yards on 19 carries, scoring three touchdowns. He also showcased his sure hands, hauling in four passes for 34 yards with one major. With the 58th overall pick the Alouettes nabbed fullback MacKenzie Sarro (6’04”, 245 lbs.) from the University of Calgary. Sarro helped lead the Dinos to their first undefeated season as they wrapped up an 8-0 record on the way to making an appearance in the Vanier Cup. In 2012, he dressed for four conference games, catching three passes for 36 yards and also playing in the two Canada West playoff contests.